Extremely flat cable regulator black laquer finish case and UV glued glass side panels. Winding key drawer, Genuine enamel dial 15 cm with second indication, hand-milled Breguet-style hands. All visable accessories are chrome plated. 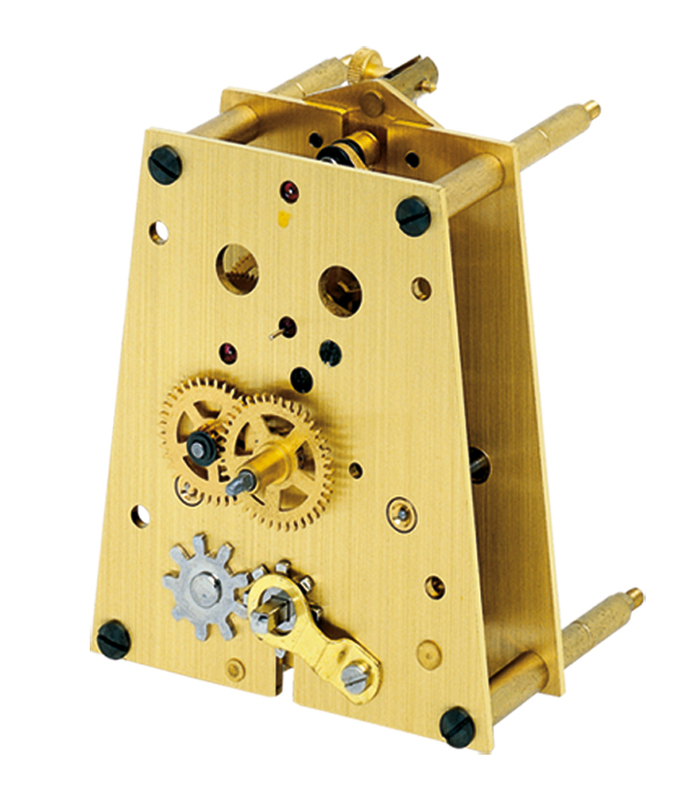 Precision cable movement with 8 rubies and 6 ball bearings, Graham steel pallet lever escapement, automatic beat adjustment, cable winding stop, maintaining power and second indication.